On Friday (September 14), I was gathered with a whole lot of DC-area folks at the downtown arena to hear Paul Simon's "Homeward Bound" farewell tour. He was great. The opening reworking of "Fifty Ways to Leave Your Lover" had a haphazard rhythm that had me a little worried, but it turned out to just be a huge spread of musicians--including a self-contained chamber group, yMusic--getting used to the stage and to each other. Their collaboration on a reworking of "Rene and Georgette Magritte With Their Dog After the War," which is on the new In the Blue Light album, was a highlight, as was all the Graceland material. Simon's vocals were by turns jaunty and weightless. We were on the floor, and it took real effort to train my eyes on the actual person versus the projected scene (compare the concert pic tableau on the left, above, to the detail of the actual Paul Simon below). 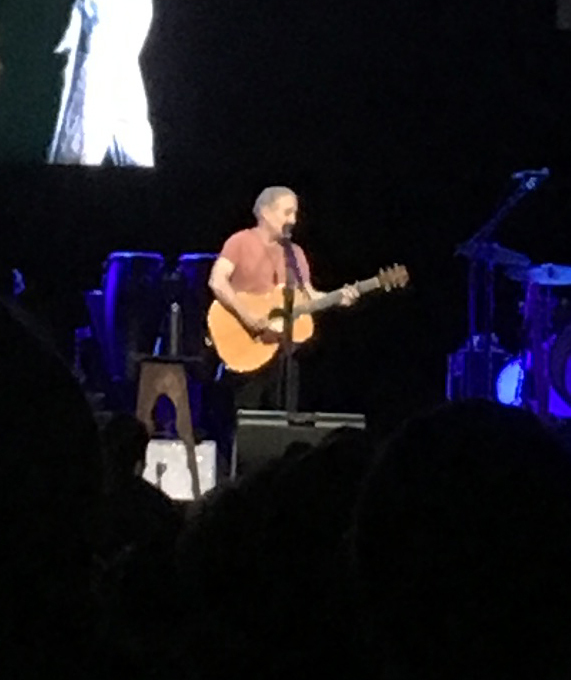 In high school, I listened to "American Tune" over and over again--hitting the rewind button on my Walkman--but I never expected to hear Paul Simon sing it live. When he began, "Many's the time I've been mistaken, / and many times confused..." we had already been on our feet for the encore, and with eyes closed I didn't realize everyone around us had sat down. My husband had to tug on the back of my shirt. I'd be tempted to use a line from that song as an epigraph--for this very poetry collection in hand--but Stephen King got there first; he quotes "American Tune" at a section break in The Stand. All of which is to say that a month has passed since the last post. I'm weaning myself off daily listenings to the Hamilton soundtrack (which we saw on August 9; this was a good summer for tickets). I've left VCCA to return to our sweet little two-bedroom and the kitty, who is scowling at me lovingly as I type this. 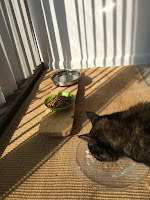 Whisky has discovered the glories of shredded chicken, and now expects to be fed a packet of it each morning and evening, which is going turn into an expensive habit. But given that only a couple of years ago I was agonizing over the very real possibility that she'd starve to death, I'll take it. Looming, humid skies and Flo-influenced rain have mostly kept the lid on any dramatic transition to autumn. But I'm working with U of Tampa MFA students on their thesis projects, and I've introduced American University undergrads to the first two of the six authors they'll get to meet this fall. 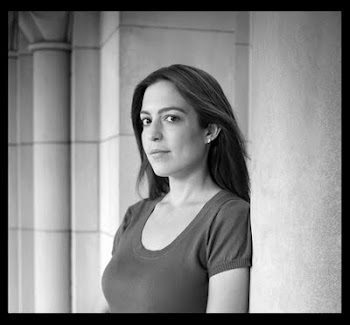 Tonight we'll talk about Fatimah Ashgar's work in tandem with her visit to AU. So I suppose it's officially back-to-school time. I bought new pens (Pilot G2, .38 "fine" point). I changed out umbrellas. 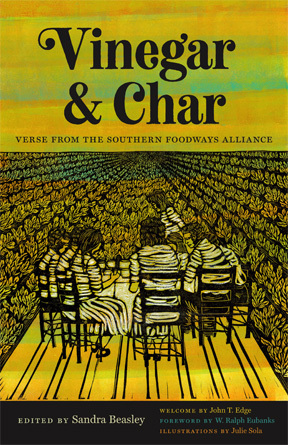 I'll miss out on going back to high school, though; my 20-year reunion for TJHSST is in October, but I'll be down in Oxford, Mississippi to launch Vinegar and Char: Verse from the Southern Foodways Alliance. That's a fair trade--the symposium is chock-full of amazing programming, and I'm so excited for this book to come into the world--but I'm sorry to miss seeing folks. Two decades out is when you kind of forget whatever boundary lines existed before. You're just happy to see anyone and everyone in their current incarnations. Early this morning, I was thinking about how the utility of blogging has changed a little bit since we first began this process. If I want to tell you about my upcoming reading with Emily Jungmin Yoon and Lindsay Bernal (this Saturday! East City Book Shop, 9/22, 5 PM) or share my excitement about receiving a 2018 "Best of the Net" nomination from Split This Rock for "Customer Service Is," I'll probably use other forms of social media to do so. If I want to blunder my way through a draft of a poem or essay, I'll keep it offline to preserve the publishing options. So this space becomes a space for...what, exactly? But this blog can host thoughts that fill larger spaces than 200-odd characters or a link + hashtag, for sure. Maybe open-ended grist for discussion, like Iggy Pop (circa 1980) telling Tom Snyder about the difference between "Dionysian" and "Apollonian" art. I got to this snippet via thinking about Paul Simon--who a commenter argued was of the "Apollonian" school. I suspect I am too, though I'd like to think I'm capable of raising a little hell on stage now and again.